This is something I struggled with because it was so overwhelming! I decided that I needed to document this because a few months from now, I will have forgotten EVERYTHING and I just don’t want to start over. I really made an effort to stay on top of nutrition at Ironman Waco 70.3 because I know all too well what it feels like to run out of gas on a long bike ride or run. It is absolutely miserable and the minutes feels like years when you are on the course. Breakfast: My go to every single day: oatmeal, egg white, almond butter mix with blueberries on top. Lunch: After checking in at Athletes Village at the Tex Mex place in Waco, Fajita chicken, rice and a beer (why not). Dinner: Chicken Parmesan and spaghetti (I removed the fried breading) and BREAD! Race Morning: With swim cancelled, a little more relaxed. A little. Coffee, oatmeal with peanut butter (travel packs are awesome). Pre-Race: Ate a banana before getting on the bike and a few swigs of Hammer “Fully Charged” that was in my 3rd water bottle that stayed in Transition. 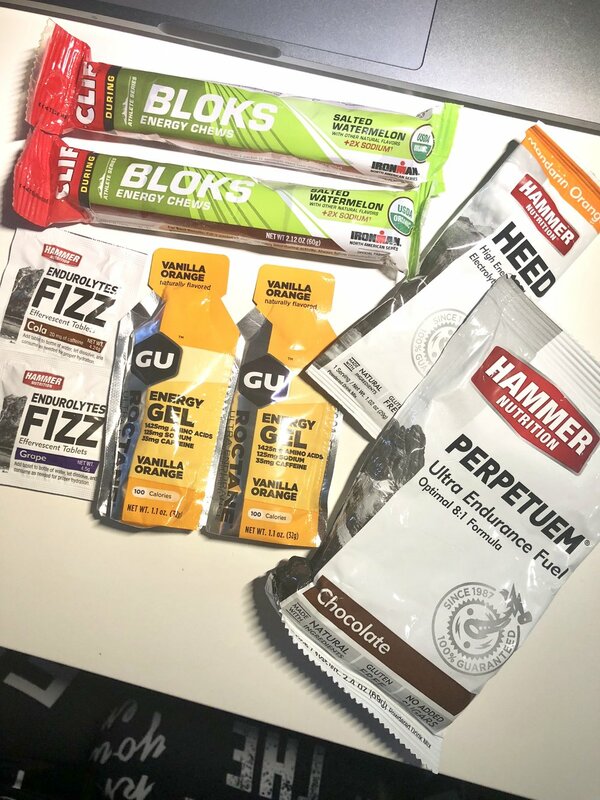 On the Bike: I checked my timing to eat something every 40-45 minutes - I had 3 packets of GU with me along with a Clif Bar that was provided in our registration packet. I had 2 bottles on board each with a packet of Hammer “Perpetuem” that I sipped along the way. I had the first GU at about 40 minutes in followed by Perpetuem, then the Clif Bar and then the 2nd GU. I went through a bottle and half and decided to hold back in finishing it by grabbing waters at aid stations. This was a little terrifying but I slowed down enough and was super careful to run over loose bottle on the road. I drank as much as I could each time and dumped the bottle at the last possible legal moment (thankful for the HUGE signs!). When I felt like I was going in for my big push, I had one or two Clif Energy Bloks (Salted Watermelon, yum!) and finished my bottle. T2: When I got to T2, I took a few swigs of the water/Hammer mix that was sitting there along with another Energy Blok. I brought those with me and some Salt Tabs because I knew it would be a hot one. Run: I felt pretty good and didn’t stop until after the first set of hills where I had a GU at a water aid station. After that, I ran through for water to wash down Bloks. At about mile 7 or 8, I had the salt tabs and continued with small water stops until the end. Do you have a plan for nutrition that you stick to each time? Or do you tweak it every time?